and is able to make a contribution to her or his community. I am so passionate about improved mental health so let’s get talking about any aspect of mental well-being whether personal impact, or the stress of caring for someone you know/ love. Being peer for me, means I care because I have been there. There is a completely different connection in working with someone on a shared experience basis. I want to know most importantly, how is it for you? The difference is having the experience of compromised mental health. You do not have to have a diagnosis to have compromised mental health. Having a diagnosis has positive and negative outcomes, and is very individual. Medication and whether to take it or not, contra-indications, St. John’s wort usage, confusion over styles of therapy i.e. counselling vs. psychotherapy are some of the discussions I can have. 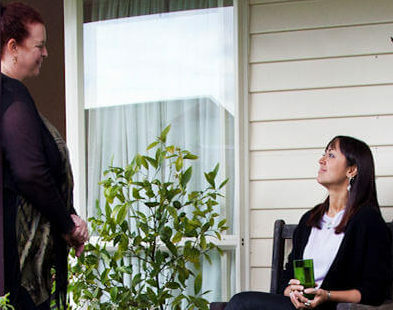 Having worked in a number of peer support roles in Christchurch including at Hillmorton Hospital, I know no one wants to end up there, or even in crisis respite care. Do you have a plan so you can aim to minimise crisis? Can I support you with some wellness strategies? In 2010, I contributed to the book Caught Between Sunshine & Shadows about New Zealanders living with bipolar disorder. Stress can do incredible things and this diagnosis was my being hit by a Mack truck life event, to stop and take stock of what was going on. My experience may be very different to your worldview of what it might mean to be bipolar so come and be curious! Peer support is done as part of the Wellness Consultation service.